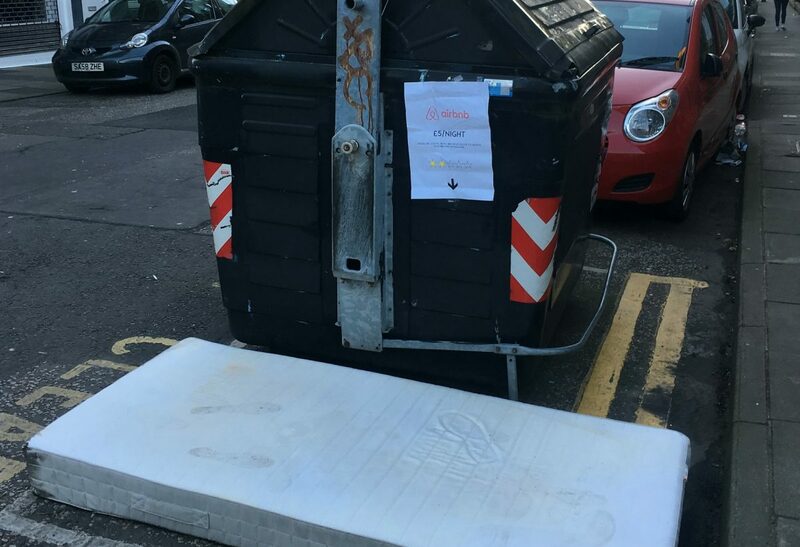 A woman who spotted a mattress with a sign above saying ‘Airbnb – £5 a night’ says the prank raises a serious issue about housing. Ailsa Deans, 31, was heading to work yesterday (Mon) when she saw the mattress lying next to a large wheelie bin. 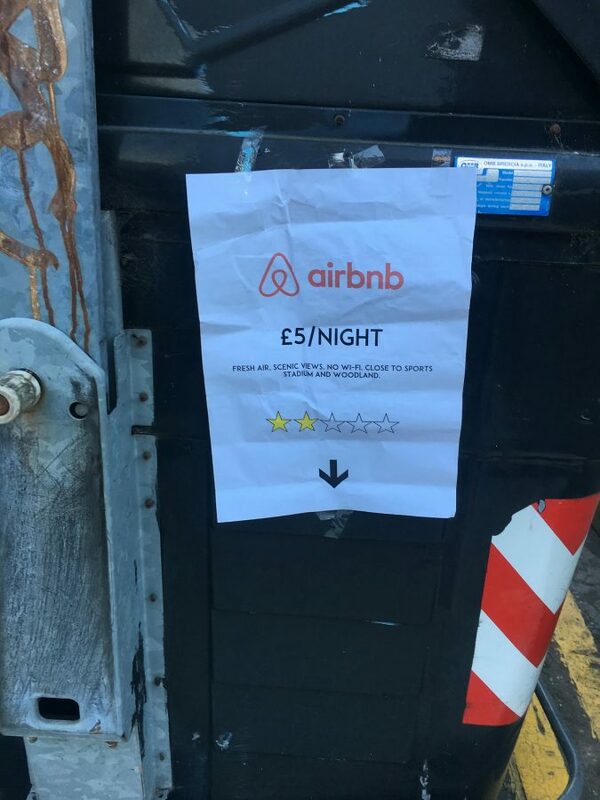 The bin had a sign taped to the side with an arrow pointing down – claiming it was available from Airbnb for a fiver. 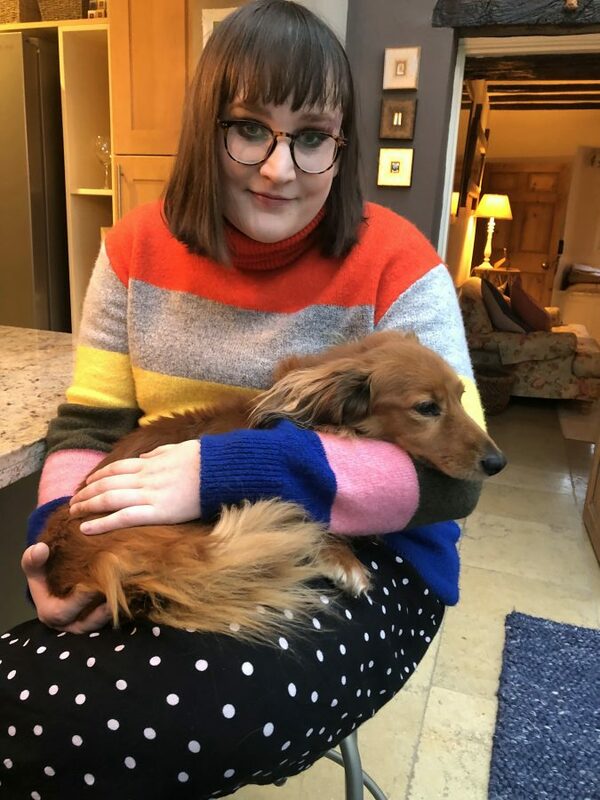 But although she found it funny, Ailsa, from Edinburgh, says it shows the Airbnb situation in the Scottish capital is “getting out of hand”. She said: “People in Edinburgh are not happy with Airbnb, people are having issues. “A lot of landlords or property owners are renting out their properties to Airbnb rather than to residents. “The reason for this is because they can make far more money from tourists. “It is possible that they can make three months rent in just one month. Ailsa added: “The problem with that is the fact that it then causes a lot of destruction for other residents. “I live in a flat and we have been really lucky. But the flat on the ground floor is being sold as an Airbnb. Recently Scottish Greens housing spokesperson Andy Wightman MSP spoke out about the matter. He warned that the rampant growth in property owners converting their houses and flats to short-term lets is hollowing out Scotland’s capital city. Ailsa, who works as a library advisor, explained: “I don’t have a problem with Airbnb as I use them too but I think it needs to be regulated. “I think having a cap to a certain amount of nights per year would be good. “August can be an absolute nightmare.